Eternal Orthodox Church calendar for the 05.11 year 2017. He is called 'the Lord's brother' because he was the son of righteous Joseph, the betrothed of the most holy Mother of God. When Joseph was dying, he shared out his goods among his sons and wanted to leave a share to the Lord Jesus, the Son of the most holy Virgin Mary, but his sons opposed this, not reckoning Jesus to be a brother of theirs. James, though, loved Jesus greatly and announced that he would include Him in his share, counting himself to be indeed brother to the Lord. James was, from the first, devoted to the Lord Jesus. According to tradition, he went to Egypt with the most holy Virgin and Joseph when Herod tried to kill the new-born King. As soon as he heard Christ's teaching, he began to live by it. It is said that, during the whole of his life, he ate neither fat nor oil, but lived only on bread and water, and he was chaste to the end of his days. He often kept a vigil of prayer at night. The Lord included him among his Seventy apostles, appearing to him after His glorious Resurrection, as the Apostle Paul testifies (I Cor. 15:7). He was bishop in Jerusalem for thirty years, and governed the Church of God with zeal. 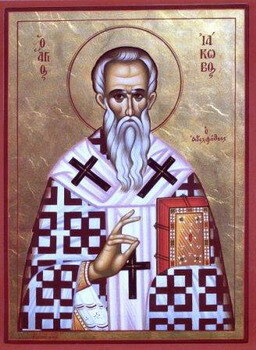 On the Lord's instructions, he composed the first Liturgy, which was far too long for later Christians and was shortened by St Basil and St John Chrysostom. He brought many Jews and Greeks to the Christian faith, and even unbelieving Jews marvelled at his justice, nicknaming him James the Just. When Ananias became High Priest, he decided, along with other of the Jewish elders, to kill James as a preacher of Christ. One day, at Easter, when many people were gathered in Jerusalem, the elders told him to climb up onto a roof and speak against Christ. St James climbed up there, and began to speak to the people about Christ as the Son of God and the true Messiah, and of His Resurrection and eternal glory in heaven. The infuriated priests and elders cast him down from the roof, and he was badly injured though still alive. A man then ran up and gave him such a vicious blow on the head that his brains spilled out. Thus this glorious apostle of Christ died a martyr's death and entered into the Kingdom of his Lord. James was sixty-three years old when he suffered for Christ. 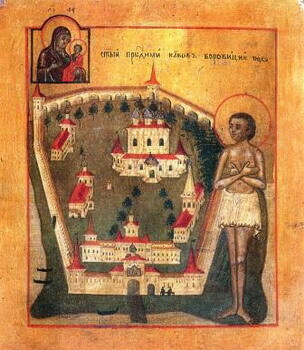 Son of the Emperor Michael Rangabe, he became Patriarch after St Methodius, in 846, but was deposed in 858 and sent into exile. 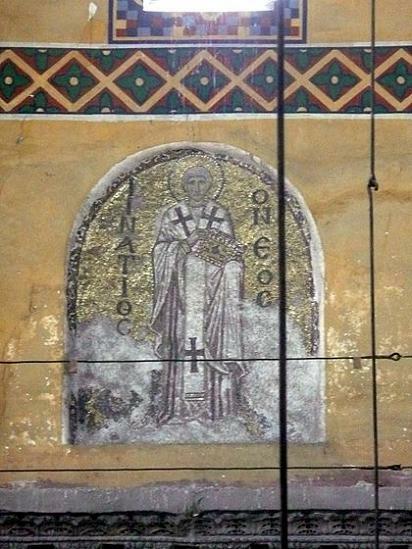 Photius, the Emperor's chief secretary, was made Patriarch in his place, but, when the Emperor Basil the Macedonian came to the throne, he re-instated Ignatius. St Ignatius governed the Church with great zeal and wisdom, and built a monastery of the Holy Archangels, in which he entered into rest in the Lord in 877, at the age of eighty-nine. 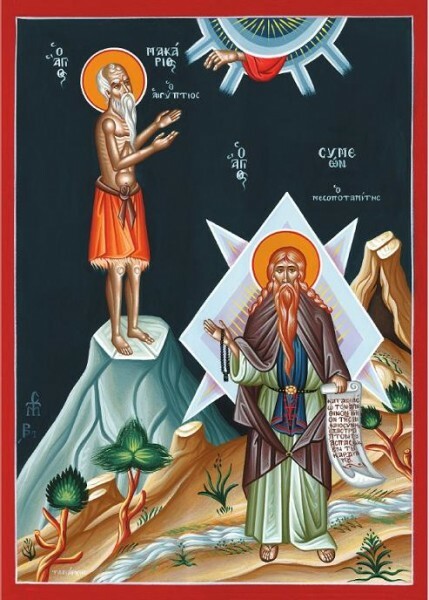 About this saint, there is only known that which was revealed after his death in a vision to some people in Borovitz. His body was floating on a river near that town one day in 1540, and came to rest there. Many miracles were worked by his relics.